Heart Bypass Surgery vs Angioplasty - Which is better? Blog » Health Blog » Heart Health » Heart Bypass Surgery vs Angioplasty – Which is better? Heart Bypass Surgery vs Angioplasty has always been a dilemma in the mind of the patients who suffer cardiac blockages. To resolve the heart bypass surgery vs angioplasty dilemma and choose the right line of treatment, understanding the pros and cons of each are important. Most of the cardiologists would go an extra mile to ensure that the patient is on the same page and understands the difference appropriately. The final answer of heart bypass surgery vs angioplasty depends on the current medical situation, a number of blocked arteries, the overall health of patient including other diseases and of course, patient’s preference. Before jumping into the preferences and conclusions, let us understand the disease that causes heart bypass surgery vs angioplasty dilemma as well as pros, cons and risks involved in both the procedures. The smooth and flexible inside walls of coronary arteries allow proper flow of blood to the heart. 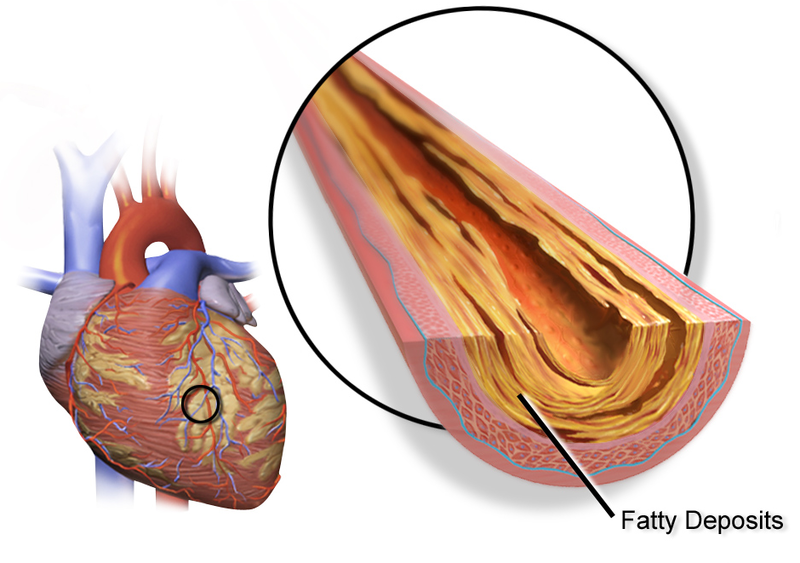 Coronary artery disease is caused due to the blockage of the coronary artery and this blockage occurs when the inner wall of the artery is damaged. The inner walls of arteries get damaged due to various factors including smoking, high cholesterol, high blood pressure, sedentary/inactive lifestyle, diabetes or insulin resistance. Due to damaged arteries, cholesterol and other cellular waste products start building up at the site of an injured wall. This process is called atherosclerosis. This narrows down the path of blood flow and reduces or sometimes completely stops blood flow to the heart. Such a medical condition is called coronary artery disease. As these plaques of cholesterol continue to accumulate in the arteries, patients may start experiencing signs and symptoms of the disease. In some cases, symptoms of the coronary heart disease sometimes go unnoticed until the patient suffers a significant blockage or a heart attack. Electrocardiogram: ECG is used to record electrical signals through your heart which may reveal inadequate blood flow to your heart. Echocardiogram: In this sound waves are used to produce images of the heart to determine the working condition of all the parts of the heart wall which contributes to the heart pumping activity. Cardiac catheterization: Also known as an angiogram, this test is used to determine the flow of blood through the heart. In this test, a special dye is injected into the coronary arteries through a catheter and outline narrow spots of blockages on the X-ray images. When medical management and lifestyle changes do not control coronary artery disease, the cardiologist may recommend a revascularization procedure – heart bypass surgery or angioplasty. More than 250,000 angioplasty procedures are performed in India every year. Angioplasty is a minimally invasive procedure to the widening of a coronary artery. This procedure does not remove plaque from the coronary arteries, rather it widens the arteries to improve the flow of blood to the heart. After angioplasty, more than 92% of patients in India have reported immediate relief from coronary artery disease symptoms. Other patients have reported relief in a few hours after the procedure. Angioplasty is also called Percutaneous Coronary Intervention (PCI). During angioplasty, a catheter (a long, thin tube) is inserted into the narrowed part of the artery. This catheter is joined via a wire with a deflated balloon. This balloon is inflated at the narrowed part of the artery thereby expanding the artery. In almost all the cases, a scaffold-like like mesh device called a stent is permanently placed in the artery during angioplasty. The stent helps the artery to stay widened for a longer term and prevent it from collapsing again. Without the stent, the probability of narrowing the artery ranges anywhere between 30 to 40%. With a stent, this rate is reduced to 10 to 20%. Angioplasty has several advantages over bypass surgery. In addition to being a relatively simple procedure, angioplasty has faster recovery rate, fewer complications, and lower costs. Also, after a stay of 1 to 2 days in the hospital, the patient can resume normal activities. For uncomplicated cases, angioplasty is now becoming the first choice for most of patients and cardiologists. But the convenience that comes with the angioplasty often comes with a price. It is estimated that 15 to 20% of patients who have undergone angioplasty might be at the risk of narrowed arteries in a few years and eventually need bypass surgery. Also, in a case of the drug-eluting stent, the patient must take medication for a year to prevent the deadly clots to be formed around the stent. In India, as per estimates, each year more than 120,000 patients undergo heart bypass surgery to improve blood flow to the heart. Typically heart bypass surgery involves taking a section of the healthy blood vessel, from the inside of the chest wall or the lower leg and attaching it above and below the blocked artery. This allows blood to bypass the blocked area and maintaining proper flow to the heart muscle. Heart Bypass surgery is performed under general anesthesia. In-hospital time typically ranges from 4 to 7 days depending on the recovery the patient. Heart Bypass Surgery is also called Coronary Artery Bypass Grafting (CABG). The minimally invasive direct coronary artery bypass (MIDCAB) technique is newly introduced and is proven to be a less invasive version of the traditional CABG. In this new procedure, the use of a heart-lung machine and the cut through the breastbone is not required. Instead, a nick of incision between the ribs is made to operate on the blocked artery. Unlike the conventional bypass surgery, the MIDCAB procedure is performed on the beating heart with the use of a stabilizing device. Despite its convenience, this technique cannot be used when there are multiple cases of blocked arteries. Narrowing of the left main coronary artery – Left main coronary artery is the main artery supplying blood to the heart. Even a small blockage or brief period of stoppage of blood flow through this artery could be fatal or severely damage the heart. Narrowing of three or more arteries – For patients suffering from triple or quadruple or more vessel disease, heart bypass surgery is a better option than angioplasty. Diabetes – Patients who have high diabetes would be advised to undergo CABG surgery since it offers better survival outcomes. In comparison with angioplasty, bypass surgery is more complicated as it requires opening the chest, general anesthesia, a several-day hospital stay, and weeks of sometimes painful recovery. But in Bypass, very few patients need a repeat procedure than angioplasty as it keeps the arteries wide open longer and may have better blood flow to the heart muscle. Bypass surgery generally provides good relief of angina for at least five years. Also, read about: 7 Tests for Cardiovascular Disease Diagnosis. While it may sound straightforward, the situation heart bypass surgery vs angioplasty is quite tricky. Typically, the surgeon uses the reports of coronary angiography to examine the degree of the arteries being blocked and based on the nature of the plagues and range of blockage of the arteries. On the basis of the reports, an experienced cardiologist weighs heart bypass surgery vs angioplasty pros and cons. The surgeon might also actively involve the patient and their caregivers to come to a common conclusion. As a rule of the thumb, angioplasty is suited for limited blockage with no coexisting medical conditions and when the chest discomfort (angina) is due to reduced blood flow that has not responded to medication and lifestyle changes. While, heart bypass surgery is suggested if the arteries are narrowed or blocked in multiple areas, or the main coronary artery is narrowed and the patient has other medical conditions like diabetes. As a consequence of the deposits on the walls of the arteries, there is an acute shrinkage of the vital passage through which the blood is pumped into the heart. This prevents smooth functioning of heart which subsequently affects blood supply throughout the whole body. It leads to severe pain in the chest as there is a decreased oxygen supply and this state is termed as Angina. Due to the fat residues accumulating in the passage of coronary arteries, there is insufficient fl an w of blood into heart. The blood consists of oxygen which is extremely necessary for the entire human body and therefore its limited supply hinders smooth functioning of body. The situation turns grave when there is a complete blockage of the artery passage and there is a minimal flow of blood to the heart. As a result the heart muscles began to perish which can result in myocardial infarction commonly called as a heart attack. In some cases, after coronary angioplasty has been performed and a stent has been placed to widen the artery, there is a recurrence of contraction and blood flow is again hampered. In such cases, performing heart bypass surgery remains the best option for the cure. The left ventricle is the foremost chamber responsible for the pumping of blood. Need for bypass surgery arises when this chamber is not performing the functions well. An extreme heaviness or pain can be felt in the chest when there is a substantial blockage of the passage. This pain can be felt even while doing light physical exertion but after taking some rest this pain disappears temporarily. Other parts of the body such as arms, jaw, throat, the upper back area around the neck can also experience such pain or heaviness indicating warning signs. In certain cases, a person may only be able to sense unusual fatigue or occasional tiredness even after a minor physical activity. Such symptoms should never be taken lightly and an immediate medical consultation is suggested. An experienced cardiologist after taking into consideration all the symptoms may conduct a thorough physical examination besides recommending some blood tests. These may include some physical stress assessment tests or a CT scan. Cardiac catheterization is the most appropriate test to determine the severity of this ailment. It also reveals which arteries are damaged. It thus helps in deciding whether there is a need for coronary artery bypass surgery to be performed or not. This article was reviewed by highly experienced and renowned doctors at Apollo Hospitals, Indore. Feel free to book an appointment with Cardiologists in Apollo Hospitals, Indore. About: Apollo Hospitals, Indore – Cardiology Team. The Cardiac Team at Apollo Hospitals are trained at the top institutes in India and abroad. They are completely dedicated to the prevention and treatment of numerous cardiac diseases. With over 1,50,000 cardiac cardiothoracic surgeries performed till date, it’s not a surprise that the Apollo Heart Institutes are regarded as one of the top centers in the world. The team of specialists is experienced in the most complex of cases, right from complicated coronary artery bypass surgery, valvular heart disease surgery to heart surgery for children, with success rates comparable to international standards.